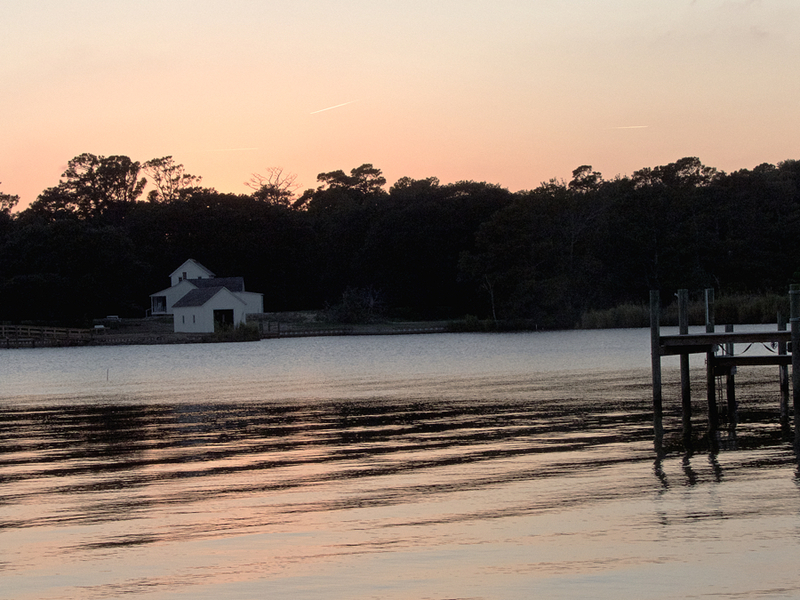 Sunny weather and a beautiful sunset over Kitty Hawk Bay. It looks as though the weather gods are going be blessing the Outer Banks with some beautiful sunny days and mild temperatures for the next week. This is certainly the time to get out and enjoy some beautiful fall days. There is so much to do, that we can’t list everything, but here are some suggestions. The biggest complaint about kayaking on the sound, or any open water, is the wind. All the forecasts that we have seen for the next few days call for light winds, making for idea conditions to paddle around the sounds. We know that hiking on the Outer Banks may not be the first thought when coming for a visit, but there is much more to the area than many people realize. There are four maritime forests preserves on the Outer Banks—Currituck Estuarine Reserve, Kitty Hawk Woods, Nags Head Woods and Buxton Woods. All of them offer a very different side of the area that is worth knowing. Or head over to Alligator River on the mainland for a very different experience. Best bet in this case would be the Currituck Beach Lighthouse in Corolla. No reservations are needed to climb it, but check in with the National Park Service on the status of Cape Hatteras Light and Bodie Island Light as well. The view from the top is always spectacular, but when there is not a cloud in the sky, the view goes to a whole new level. Relax…breathe deeply and take 10 minutes to do nothing but watch the sunset over anyone of our sounds. It will be 10 minutes very well spent. It sounds cliched, but there is nothing quite like walking on the beach on a perfect autumn day. It’s something the is good for all the senses and is particularly good for the soul. Just about any beach will do. And make it a long walk. Anytime of the year is a great time to visit the Outer Banks. Check out our listings at Joe Lamb, Jr. & Associates.